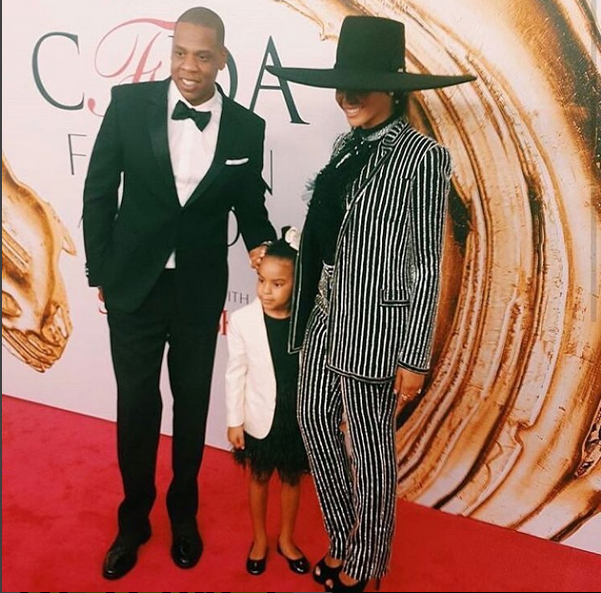 Home / Beyonce / CFDA fashion icon awards 2016 / Fashion News / Fashion. 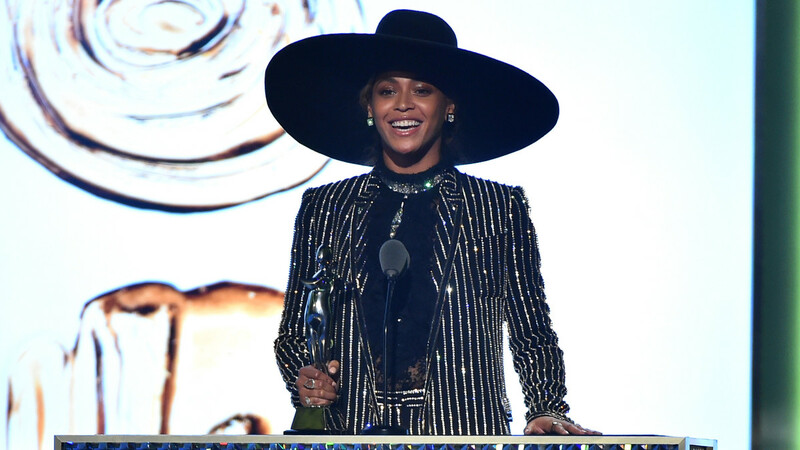 / Showbiz / BEYONCE ASHINDA CFDA FASHION ICON AWARD 2016. 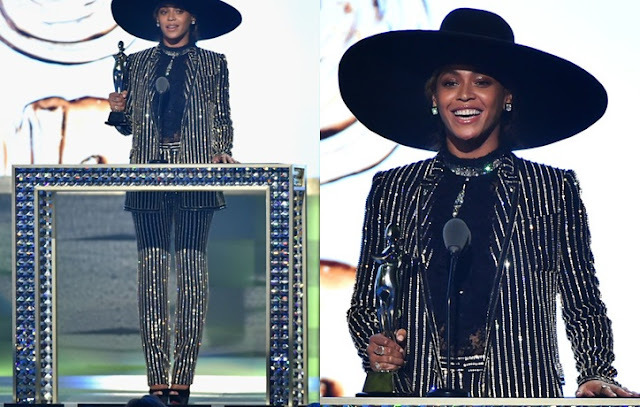 BEYONCE ASHINDA CFDA FASHION ICON AWARD 2016. Queen Bey apokea tuzo la CFDA fashion icon just yesterday. She looked very classy alivyovaa hiyo stylish sparkly Givenchy suit. Alihudhuria akiwa pamoja na her husband JayZ na mtoto wao BlueIvy pamoja na familia yake. Beyonce ::My mother, my grandmother, and my uncle are always with me...My mother actually designed my wedding dress, my prom dress, my CFDA Award dress, my first Grammy dress—the list goes on and on and on. And this to me is the true power and potential of fashion. It's a tool for finding your own identity, expression...It transcends style and is a time capsule of all of our greatest milestones. So to my mother, my uncle, my grandma, thank you all...Thank you for showing me to never take no for an answer. Thank you for showing me how to take risks, work hard, and live life on my own terms. I want to say thank you to every designer who works tirelessly to make people feel like they can write their own story. They are fairy godmothers and magicians and sculptors. Sometimes even our therapists. I encourage you to not forget this power that you have or take it lightly. We have the opportunity to contribute to a society where any girl can look at a billboard or magazine cover and see her own reflection. So I have no color, no shape, no form— just like all of your work it goes so far beyond what the eyes can see. You have the power the change perceptions—to inspire and empower, to show people how to embrace their complications and flaws and see the true beauty and strength that's inside of us. Thank you so much for this incredible award, I'll never forget this night. God bless you.